‘Tis the season to be thankful! After eight summers at Brant Lake Dance Camp, I still thank my parents for sending me to such a magical place all those years ago. I feel immense gratitude for all BLDC has done for me. From singing the Alma Mater with our arms draped over each other to our epic lip sync battles, camp is a place filled with love, laughter and lifelong friends. After eight years I still have regular reunions with Z Cabin of 2010! 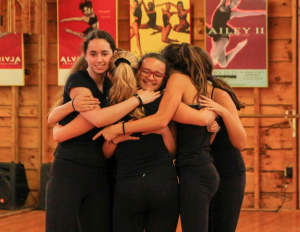 Brant Lake Dance Camp is a place that fosters leadership, confidence and unconditional love. What’s unique about BLDC is that competition doesn’t exist, we as a community push each other to grow in this art that we love. Mia Michaels said it best: “If you dance with your heart, your body will follow.” I also learned if you dance with your best friends the fun will follow. I love how BLDC mixes a structured dance curriculum (with amazing teachers) while still emphasizing the fun of camp. What other place brings girls who all love to dance together while having campfires and cozy movie nights? At Brant Lake Dance Camp you come for the dance, and stay for the friendships! The best part about going from camper to counselor to key staff is that I get to grow with those campers who return with me. Whether it be the lifelong camper who is in her last summer or the camper who worked endlessly over the summer to get her triple pirouette and debuts it during WIPs (Works In Progress). 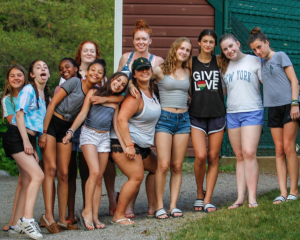 I was at another camp for five years before coming to BLDC, and I realized Brant Lake Dance Camp goes beyond what it means to be an exceptional camp. I thank Brant Lake for giving me a place to enjoy my summers, and for also helping me realize what I wanted to do career-wise. As an aspiring educator in my first graduate school year, I get to use what I learned at BLDC in my classrooms. So, while I am munching on my turkey this month, I am also counting down the days ‘till camp and reminiscing about BLDC Cupcake Wars and snuggling up with hot chocolate on the rocking chairs with my Brant Lake Dance Camp family. It’s easy for children to think of their entire lives in the context of their “nucleus,”’ their home, their community, their school, their family, their friends. They typically have no need to seek beyond their immediate surroundings, and their perspective of the world is seen through a restrictive lens based on where they live and the things they’ve experienced. 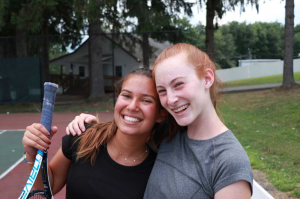 Attending a sleepaway camp gives children and teens a way to broaden their worldview, to see themselves as a small (yet important) part of the bigger picture. America’s Finest Summer Camps get campers out of their comfort zones and allow them to catch a glimpse of how much world they have to explore. For campers who have lived their entire lives in the hustle and bustle of a big city are in for a shock when they step foot onto the campgrounds. For some campers, the first time they explore the wilderness or really see a constellation is at camp. Even campers from rural areas are in for a treat as they spend the summer in a place busy with people, excitement and adventure. The experience of the journey from home to camp can help campers see that there is much more to explore outside of their familiar life. 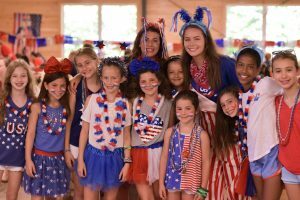 America’s Finest Summer Camps bring people together from all across the globe, and is responsible for thousands of lifelong friendships. Boys and girls spend night and day with others who come from different backgrounds, cultures, religions, and experiences. Working, playing and growing together at camp allows campers to break through stereotypes and appreciate diversity in a brand new way. Some campers come from places where everyone thinks, looks and acts just like them. It’s refreshing for them to see that the world is full of incredible people with so much to teach them. 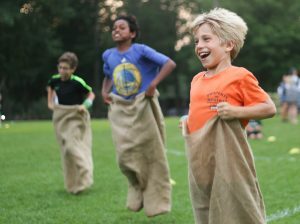 Sleepaway camps give campers the opportunity to venture out in a new place without their parents walking them through it. 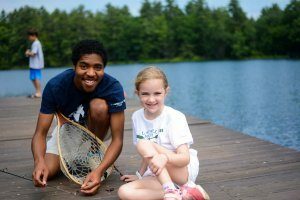 This experience helps campers gain a sense of independence and realize that they are strong enough, smart enough and more than capable enough to make positive decisions on their own. Giving campers this sense of freedom and independence allows them to do some self-discovery to understand further who they are and what they can contribute to the world around them. They learn things about themselves that they didn’t know, and they begin to ask the questions that will help them determine who they are becoming outside of their family and friends. 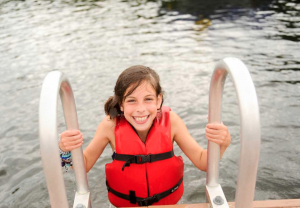 America’s Finest Summer Camps packs every day of the summer with fun and adventure. Some campers arrive never having been on a boat before, or never having access to a dance class or have never been rock climbing, but camp changes all of that. Camp is the place where so many “firsts” happen, all of which open up new windows in the brain and increase their understanding of the countless adventures and travels awaiting them. 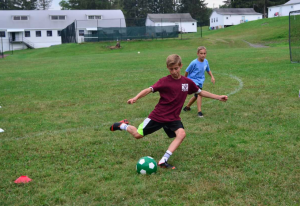 Some campers fall in love with sports they never even knew existed, which can be the first step in a lifelong passion. 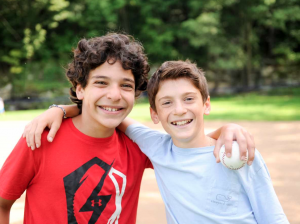 Campers who have the sleepaway camp experience go home with a desire to learn more about the world around them. This exposure to new things and people shifts their perspective and helps them realize that there is so much to the world than what they know. It’s important for children and teens to understand that the world doesn’t actually revolve around them. They are part of something bigger, and the sooner we can ignite the excitement in discovering just what that “something” is, the better. The sooner campers can grasp the idea of a big wide world just waiting for their gifts and talents, the sooner we can develop leaders who are excited to serve, lead, love and explore the world beyond their comfort zone. October’s the month to plan what Dance Company you’re going to see this Holiday Season. As developing dancers at BLDC, we all know there are many ways to learn and grow as dancers. We always talk about watching and learning from other dancers. Since we are not physically at camp now (insert ugly crying face), there are many other amazing opportunities to learn and watch other dancers! With the holidays right around the corner, now is the time to plan your concert dates. Buy the tickets now and get it on your Holiday calendars. 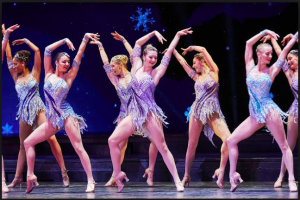 For me this means my personal favorite dance performance is ready to get back on stage: The Christmas Spectacular starring The Radio City Rockettes. It’s an unbelievable show filled with beautiful lights, props, costumes, and the most talented dancers! This show has been a beloved holiday tradition for generations in NYC and my family. Another way I see our BLDC dancers connecting to the Christmas Spectacular is the passion to try new things! This year’s show will have a few new and exciting elements added in. The director said “100 drones, representing Christmas lights, will magically surround Santa Claus on stage, forming various shapes and patterns.” How amazing?! Now is the time to get your tickets and make that plan whether you’re an NYC Ballet Nutcracker fan, or Prefer BAM to see Mark Morris’ Hard Nut, or a Rockette’s Christmas Spectacular fan, or your favorite home city performance. If you’re in the NYC area November through December, I recommend seeing the show! October is Breast Cancer Awareness Month. What are you doing to spread the word? National Breast Cancer Awareness Month is an annual international health campaign organized by major charities every October to increase awareness and to raise funds for research into its cause, prevention, diagnosis, treatment and cure. The campaign also offers information and support to those affected by breast cancer. Take action through exercise. Cycle for Survival or Race for the Cure are just two ways to get involved. Wear swag. Did you notice NFL players wearing pink cleats or celebrities with their pink ribbons? You can purchase your own swag too! Host your own fundraiser. Whether it’s in your office, at your school or even at your own home, there are many ways to independently raise money. Host a bake sale, organize a town run, make and sell your own pink gear. 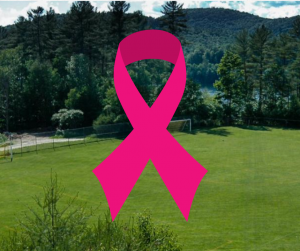 THINK PINK IN THE MONTH OF OCTOBER AND SHOW YOUR SUPPORT! 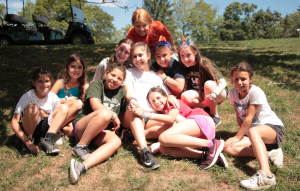 For many campers, summer camp becomes a second home, a special place that welcomes you back every summer like family and supports you to be the best person you can be. 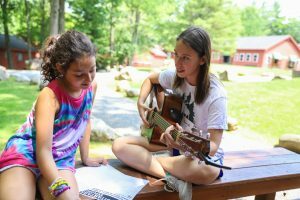 America’s Finest Summer Camps become a staple in many campers lives’ and for a few of them, it becomes a home they never leave when they decide to return as counselors. 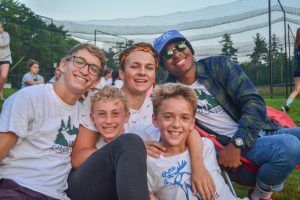 When they left summer camp they realized they didn’t want their last summer as a camper to be the last time they get to watch a sunset over the lake or sing a song around the campfire, they wanted to continue to live through those traditions. 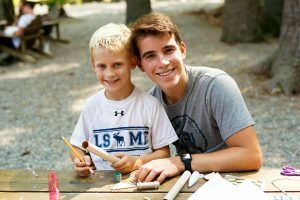 After spending eight summers as a camper that gets to experience all the playful fun of camp, campers will transition to the role of counselors to experience summer camp in a whole different way. Former Camper Counselors return to America’s Finest Summer Camps so they can help campers live the same amazing summers that they once did. 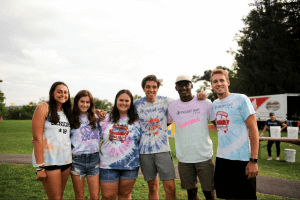 These counselors recognize that when they were campers, their own counselors were the ones to push them out of their comfort zone and pick them up every time they were down, helping them become the individuals they are today. This is why so many campers return to become counselors, they want to change lives the way their own lives were changed. They want to help a camper find their passion and make them realize that camp is their home when they feel homesick. They want to help campers understand how special of a place camp is and that the happiness they find here will guide them for the rest of their lives, but most of all, campers return as counselors because they want to spread the love they have received from every summer spent at America’s Finest Summer Camps. It’s easy to hear that respect is a two-way street; it’s different to live it. Campers and counselors always earn each other’s respect. Halfway through the summer my campers were listening and reacting better to what my co-counselors and I were saying than they were in the opening week. I realized this was because our engagement level with them was higher than ever, and our campers could see and feel the commitment we had for them. Spending extra time with them making bracelets at Rest Hour, reading stories at night and helping facilitate the fun made everyone’s lives happier and easier. I never realized how many questions the campers would ask! I thought I knew (almost) everything after orientation, but quickly realized I often needed to go to Campus Leaders for answers. At first I wasn’t sure if I was supposed to know some things. Not only were my Campus Leaders incredibly helpful, they were also always there when I needed them. By seeking help when I was unsure about something, I was setting a great example for campers on how to seek answers themselves. This should have been a no-brainer because I remember so many small details about the adults in my life as a child. This clicked for me at camp when a camper made a drawing for the counselors in our cabin. The drawing was of us from earlier in the summer at a Talent Show. Our campers talked about every little detail of our skit, which I had already forgotten. That made me realize the little things impact our legacy as much, if not more, than the big things. I’m sure as I reflect on my summer throughout the fall and winter I’ll come up with even more examples of the things my campers taught me. For now, I’m thrilled I made the decision to be a counselor this summer and can’t wait to be back next year!